Easter is here at last, the buds are popping and the flowers are blooming! Celebrate this wonderful spring holiday. 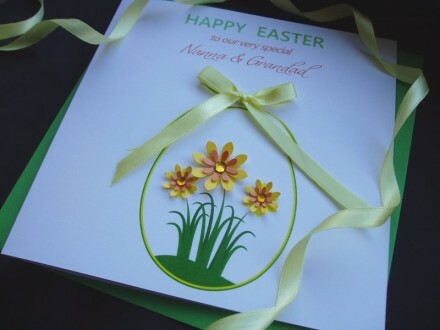 Give your loved ones, family and friends this Easter Day a card to be treasured for many years to come. An elegant egg filled with shimmering daffodils and finished with a satin bow.